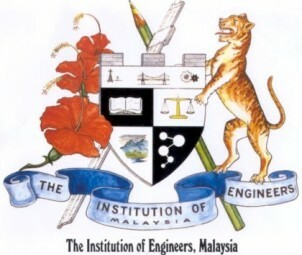 The Institution of Engineers Malaysia (IEM) calls upon the Government to introduce a mandatory Fundamentals of Engineering Examination (FEE) to ensure that all engineering graduates from all accredited universities (be it local or overseas) are able to demonstrate that they have a good grasp of the fundamentals of engineering principles. A person may apply to sit for the examination in the final year of their engineering degree programme or after graduation before registration with the Board of Engineer Malaysia (BEM) as a Graduate Engineer. Rational For the Proposal of FEE. Due to diversity of the degree programmes offered by an increasing number of universities both locally and abroad, there is a need to have a standardized benchmarking system to test the knowledge of the graduates on engineering fundamentals. This examination will therefore serve as a means of ensuring that engineering graduates entering the industry meet the minimum competency where engineering fundamentals are concerned. This examination will serve as a means of ensuring that graduates of foreign engineering degree programmes have achieved the same standard as graduates from local universities where engineering fundamentals are concerned. Many Graduate Engineers do not subsequently proceed to apply for Professional Engineer registration and have their competency assessed. These engineers nevertheless continue to serve the industry. It is therefore important that these graduates at least satisfy the minimum standard. This would ensure that there would be a more uniform benchmark on the engineering standard for the betterment of the industry and the nation. As a professional institution and learned body, IEM firmly believes that the quality of engineering graduates cannot be compromised and the introduction of the FEE will go a long way in ensuring that engineering graduates possess the minimum competency in terms of engineering principles. In the respect, the IEM is willing to offer its assistance in implementing the FEE.